Kapilananda Mondal was born in 1959 in Ullon village, in West Bengal, India. Being from a modest family, after his secondary school education, he began working. Kapil Mondal worked in several jobs when he was young including for a construction company and for a journal based in Kolkata. During the period of his life where he was working in Kolkata, he came back home to Ullon to visit. During one particular visit in 1983, he learned that one of his neighbors, only 55 years old, had died from an untreated illness. The man’s family was so poor that they were unable to pay for a proper funeral. Seeing these events unravel, Kapilananda Mondal decided to collect money from the community to help pay for the man’s funeral. This collection was successful; the man was given a proper funeral, and after it was over there was still a small amount of money remaining that had been collected from the community. The outpouring of support from the community and the excess funds caused apilananda Mondal to have a realization; the community has ample resources. What is needed is a way to mobilize these resources for the good of the community. This is the idea that brought VSSU to life. VSSU started its work slowly, first by working on tree-planting initiatives around Ullon. Gradually VSSU began to expand its activities, but another event in Kapilananda Mondal’s life led to VSSU’s initial involvement in microfinance. One day, Kapil Mondal was riding in a rickshaw, and struck up a conversation with the rickshaw driver. Throughout the conversation, Kapil learned that the driver rented the rickshaw and paid 5 rupees every day to the owner in exchange for its use. The 5 rupees rent was difficult for the driver to pay, and he had no prospect at all of another way of earning income or purchasing his own rickshaw. Then and there, Kapilananda Mondal asked the driver if he would be willing to instead pay Kapil the 5 rupees daily for the use of a rickshaw. However, rather than the rental process going on indefinitely, after the man had paid back the full amount of rickshaw to Kapil, he would own the rickshaw himself, therefore having a greater control over his work, income, and life. This notion of greater control over one’s own financial and economic life led to the creation of VSSU’s microfinance activities, which today help clients start and expand businesses, save, and increase their financial stability. Today, Kapilananda Mondal continues to be the dynamic leader and dedicated CEO of VSSU. He remains an extremely active and vital member of the VSSU team, and leads all of the various initiatives and endeavors of the organization. He is not only the head decision-maker for the organization, but a superb motivator and leader of his staff, which now numbers more than 100. Kapil Mondal says that he is not in the community development business to try and change society; instead, he is trying to change himself by working in the society. 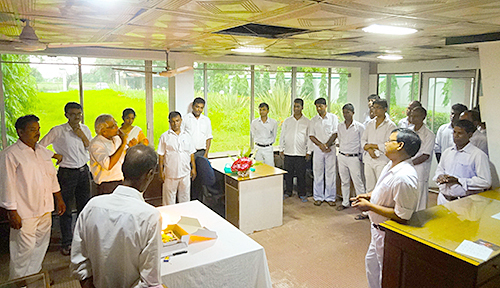 In many ways, VSSU is synonymous with the name Kapilananda Mondal, and his unflinching dedication to the organization is what makes it so successful today. To date, Kapilananda Mondal has received several distinctive honors through his work with VSSU. In 2003, he was elected to the Ashoka Fellowship for excellence and innovation in social entrepreneurship. In 2011, VSSU and Kapil were granted special consultative status to the United Nations and ECOSOC as a model of community-based economic development. In 2012, Kapil was appointed to the Government of India’s five-year planning commission and working group for outreach of institutional finance, cooperatives, risk management, and credit policy. Over the years, Kapilananda Mondal has received invitations from five continents to visit, and has traveled under various sponsorships to 21 countries around the world to discuss his work with VSSU. 1983: VSSU’s informal beginning. At this time, the activities focus was on education, health, and tree planting. 1986: VSSU is formally registered as a society under the West Bengal Societies Registration Act, XXVI. 1990: Microfinance services begin with a monthly-based scheme. 1992: Microfinance services stopped because not enough staff members were able to be recruited to meet the demand. 1994: Microfinance services resume, this time also with a daily-based scheme. 1997: Swarnibhar Gosthi officially starts the “savings-based credit program” at VSSU. 2001: VSSU is named a “One-Stop Microbanking Institution” by CARE International. 2002: Kapilananda Mondal awarded the Ashoka Fellowship by Ashoka Innovators for the Public, an award for excellence and innovation in social entrepreneurship. 2003: The establishment of Ashok Nilay, a centre for community development. Ashok Nilay is a separately registered organization with the sole purpose of pursuing community development, as opposed to VSSU, which focuses on economic development. 2006: Collaboration with Jaipur Rugs Foundation to provide skills training to local women. 2007: Collaboration with BRAC (Bangladesh) to upgrade microfinance systems. 2008: The establishment of the Oceanic Library, which was partially funded by READ Global USA. 2008: The establishment of the Jeebika Foundation for Livelihood Promotion. 2008: The establishment of Jawahar Navodaya Vidyalaya for talented rural children. For this project, VSSU provided 2 hectacres of land and the building, while the Government of India and the Ministry of Human Resource Development fund the residential program that is free of cost for children in classes 6 -12. 2008: Consortium partnership with University of Agricultural Sciences for sustainable harvesting, processing, and value addition of wild honey bee. 2011: The CEO of VSSU is granted membership on the Government of India’s 12th 5-year planning commission and Working Group on outreach of institutional finance, cooperatives, credit policy, and risk managements. The CEO was granted this membership because of his vast experience and expertise in the economic development sphere. 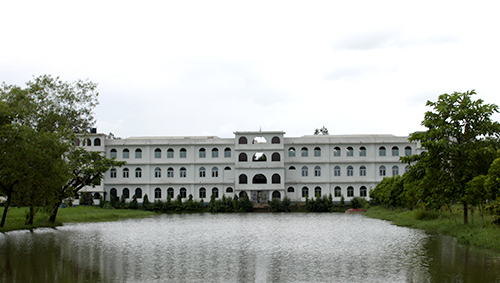 2012 : VSSU started its International School to provide quality education for the students of local community at an affordable cost , in sept 2012, VSSU , in commemoration of 150th Birth anniversary of Swami Vivekananda , and 25th years of VSSU’s serving for the community , The broad objective of this endeavor is to enhance humanity awakening, solidarity, brotherhood, peace, communal harmony and youth leadership through the teaching of Swami Vivekananda.